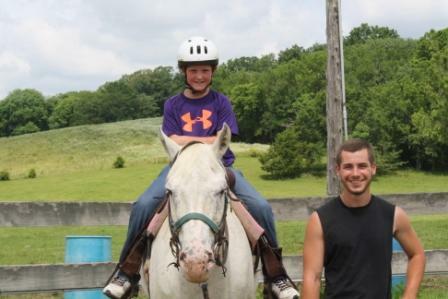 Ondessonk Stables About Us- The Ondessonk Stables are part of Camp Ondessonk- a large residential youth camp located in the heart of the beautiful Shawnee National Forest in Southern Illinois. The Ondessonk Stables maintain and care for a herd of about 70 horses. During Ondessonk’s summer camp season our horses are busy going on rides with campers, while staff instructs them about horsemanship! The rest of the year Ondessonk focuses on outdoor education. We offer trail rides and horsemanship classes during specialty weekends at camp, serve school groups, Road Scholars and scout groups, and are open to the public. 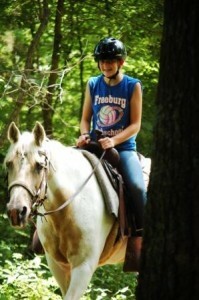 The Ondessonk Stables strives to provide a fun, solid and safe horsemanship experience for everyone. Our number one priority is safety. 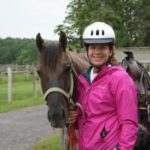 We are accredited by the Certified Horsemanship Association and the American Camping Association, and follow standards that stress safety, good horse management, effective programming, and creative teaching. Groups and individuals can come to the stables for anything from horsemanship classes to trail rides to overnight excursions. 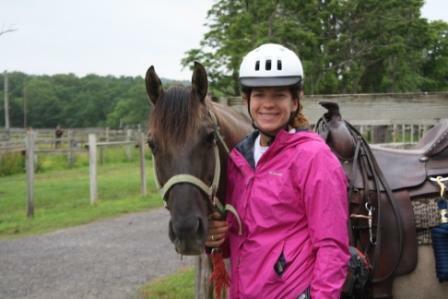 Our horses and programs are suitable for a variety of riders, from beginner to more seasoned riders. For horse program options click here. For camping and activity information click here.